The argument as to who is the best player in any given position is often a hard nut to crack. Objectivity takes the back seat in most of those discourses, and when it is players and managers that express their opinions, biases don’t remain hidden. Yet despite that, there have been some rather outrageous claims that have been made in the past, mostly dealing with self-obsessed talents or individuals who simply couldn’t care less for rivals. Now, Real Madrid’s Thibaut Courtois has revealed his list of the best goalkeepers in the game. While he can’t really be blamed for any of the aforementioned biases, there is no denying that there is a certain name that ought to have been populating his list instead. 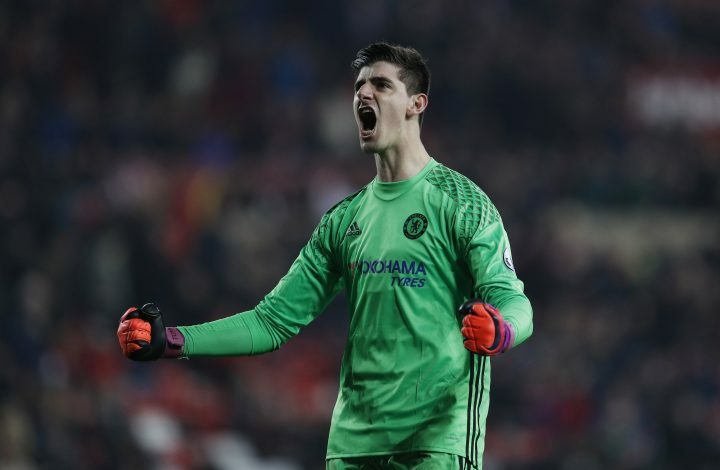 Courtois is said to have stated that Marc-Andre ter Stegen, Alisson, and Jan Oblak are the best goalkeepers currently in the business. While it is nice that he mentions ter Stegen, who functions for rivals Barcelona, the omission of David De Gea is conspicuous, to say the least. While the Spaniard hasn’t been enjoying the best form as of recent, with the save he made against Young Boys being the best he’s made in months, there is no denying that the Red Devil ought to populate any list that cites the best shot-stoppers. While Alisson boasts the tag of being a sturdy keeper, and Oblak was the man who replaced Courtois when he initially left Atletico Madrid, this list could certainly use De Gea’s presence. Yet another case of peer ignorance, or is the keeper truly in decline?